The wizard Merlin sets out from the castle, because only he knows Uther’s secret: that the Pendragon line lives on through an illegitimate child somewhere in the countryside. If Merlin can find him, they might still have a chance. The Chronicles of King Arthur: Episode 1 - Excalibur is rated 3.6 out of 5 by 14. Rated 5 out of 5 by blipi69 from Great Match3 Games I loved this game - great match3 fun and graphics that are really fine. Hope there will be a part 2 ... but I suppose so, because the story of King Arthur goes on (grailquest and son). Thumbs up for this jewel under the match3 games! Rated 5 out of 5 by XFreak from Most epic in match-3 genre ! Wow, i sense the same feeling as Trials of Olympus series! The atmosphere, story and music was great, absorbing! The only cons is basic match3 gameplay. Rated 5 out of 5 by denniann2 from a great M3 i enjoyed this game and there were power ups. you gain them as you go. you are matching to continue the story and eventually you gain help along the way. mainly just your mother and merlin. you are battling to get your rightful throne back. it has been upsurped by a man that treats his people badly. Rated 5 out of 5 by biscuitsmama from ANYTHING TO DO WITH KING ARTHUR IS A MUST HAVE FOR ME! 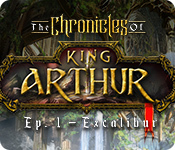 The Chronicles of King Arthur Episode 1 – Excalibur is a very good game but unfortunately the developer has taken a lot of liberties in retelling the Arthurian Legend. I am not a purist when it comes to computer games but I think that the developer should have presented the legend of Arthur a bit more accurately. Aside from that the Chronicles of King Arthur is a very good Match 3 game which is why I gave it a 5-star rating. The graphics and voiceovers are excellent which all add to the atmosphere of the game. As another reviewer has mentioned the game is basically the same as all of the other “Chronicles of” games but that is not something that bothers me at all. I so absorbed in the gameplay that I was surprised when the demo seemed to end so quickly - LOL. A good indication that this is a game I must have. Even though I think this is a terrific game, as always, please try the demo to see if you will enjoy it as much as I do. Happy gaming! Rated 5 out of 5 by Marinersfan04 from Very Enjoyable Game This Match-3 game has gorgeous graphics, and an interesting storyline for those who love British history (me!). The music is suited to the times. Yes, the play is the same as the dev's other games, but I enjoy it a lot and when you add in the other factors, it's a great buy. Rated 4 out of 5 by TheRealMagicJack from A More Subdued but Decent Match-3 This game didn't have the dramatic effects like other new match-3 games. It was visually uninspiring. The game was solid with only 1 glitch in which I filled an entire column of one object and couldn't eliminate them except with a power-up. The gameplay was solid the rest of the time and well balanced difficulty on 'timed' mode. It seems one of the biggest challenges developers face is music whose repetitiveness doesn't get under your skin and they succeeded here. The songs are charming and comfortable, definitely with Japanese undertones. A solid 4-star game in my opinion. Rated 4 out of 5 by cyndrap from Overall good game Fun to play with progressive challenges The storyline is a little monotonous and I did not care for the music. 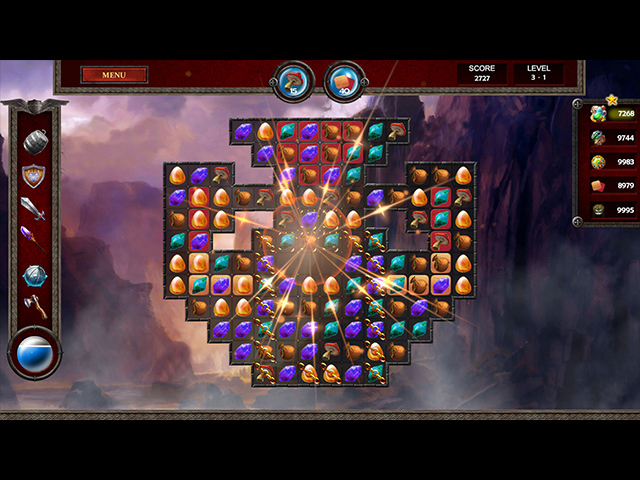 The play is interesting and as you progress the play becomes more interesting and challenging. Try it I think you will enjoy it. 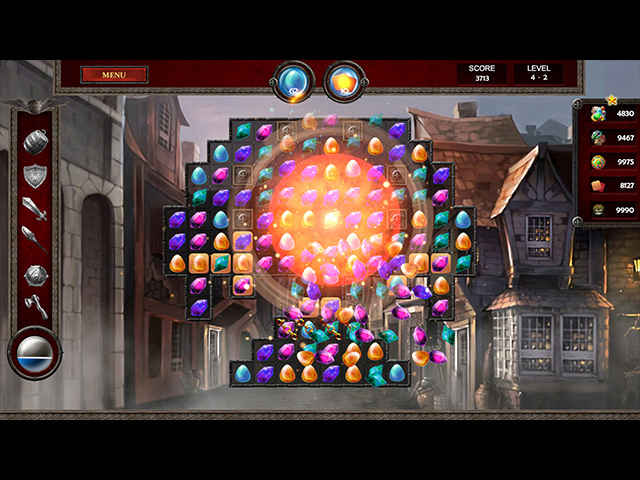 Rated 4 out of 5 by mkgermany from King Arthur and Match 3 - What's Not to Like? I found this game to be enjoyable and relaxing - with challenges increasing as the game progresses, as in any well-developed Match 3 game. 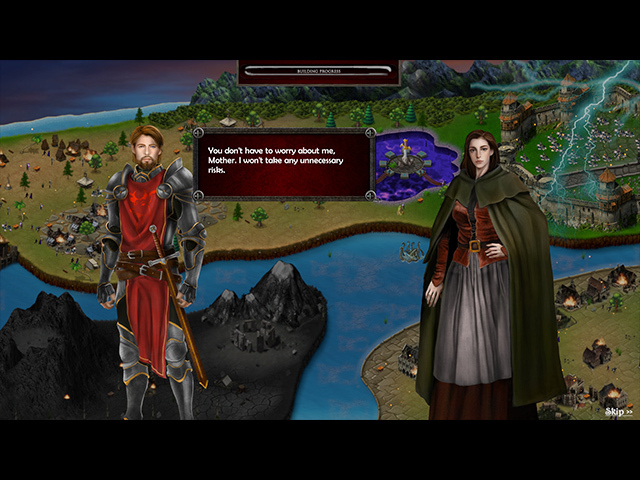 It's a fun way to learn history (or in this case, legend), but you CAN click quickly through the dialogue or skip it altogether, if you prefer. A previous reviewer described the gameplay, so I won't repeat it here. I found the play a bit slow but really liked the power-ups. Give it a try! Rated 4 out of 5 by Martyheinz from Same Same As pennmom36 said, it is the same principle as previous games in the Chronicles series and also the Enthralling series. What I find annoying is on some of the levels the items to match are so close in color and style it is hard to differentiate items for older eyes. This detracts from the game, but maybe the similarities are intentional to make it more challenging.